Get Chauffeured limo hire service is dedicated to creating an ambience of luxury, style and comfort within each of their vehicles. Take your special event to the next level with Get Chauffeured. Choose from over 220 vehicles including luxury sedans, stretched limousines, minibuses, luxury coaches and helicopters. Get Chauffeured is ideal for all types of events and special occasions including weddings, birthdays, anniversaries, tours and airport transfers and every driver and vehicle across the fleet is carefully selected and tailored to each reservation. The Get Chauffeured team are dedicated to perfection and ensure a safe, efficient and professional service every time. Get Chauffeured has been Sydney's leading ground transport and helicopter tour company for well over a decade and has worked with many of Sydney's most successful film and television production companies and advertisement agencies. Enjoy the utmost elegance and style with Get Chauffeured. 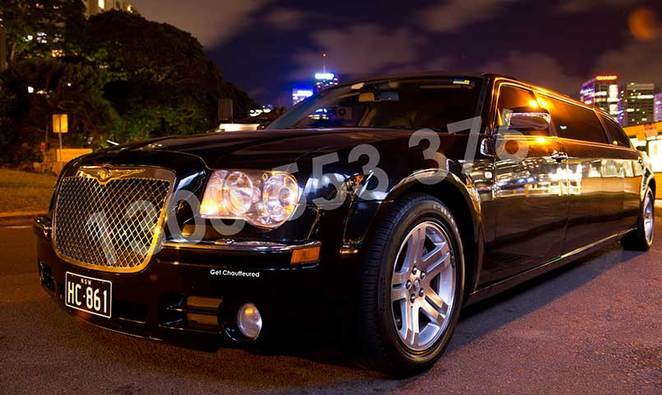 Visit www.getchauffeured.com.au to view the full fleet and contact 1300 553 376, (02) 8883 3331 or hello@getchauffeured.com.au for a full reservation.